It's a murmur of dissatisfaction rather than a roar of revolution right now, but then it is early days yet. 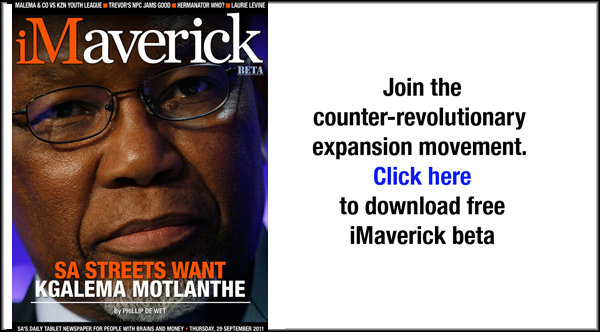 As the ANC conference in Manguang draws closer, calls for Kgalema Motlanthe to do to Jacob Zuma what Zuma did to Thabo Mbeki are coming from all kinds of places – and high-level politics isn't coming into it. By PHILLIP DE WET. It’s no longer an unusual sentiment, but it’s strange where you can come across it. “The country is waking up to the fact that it made a big mistake there,” said a Tembisa community leader, as he explained how his group is subtly starting to align itself with what they see as a Motlanthe-Sexwale-Malema axis. The hope, of course, is that early support will be rewarded in the long run – by better administration, if not more directly. The Tembisa group is not concerned with national politics. Their fight is for cheaper electricity and, eventually, better housing. Their problem lies with local councillors up to the provincial government. But people we spoke to in the township aren’t calling for the resignation of their mayor or premier. They want Jacob Zuma out, and believe things will improve both within the ANC and the national government with Kgalema Motlanthe at the helm. While we don’t have a representative sample, not by a long shot, that kind of thinking is becoming more prevalent in wildly disparate places: squatter camps in Soweto, shopping malls in Sandton, local action groups in Western Cape. And while the positioning and jockeying is reminiscent of the months before Zuma ousted Thabo Mbeki at Polokwane, there is one critical difference in the mood. The middle-classes had some respect for Mbeki, and feared the populism Zuma represented. 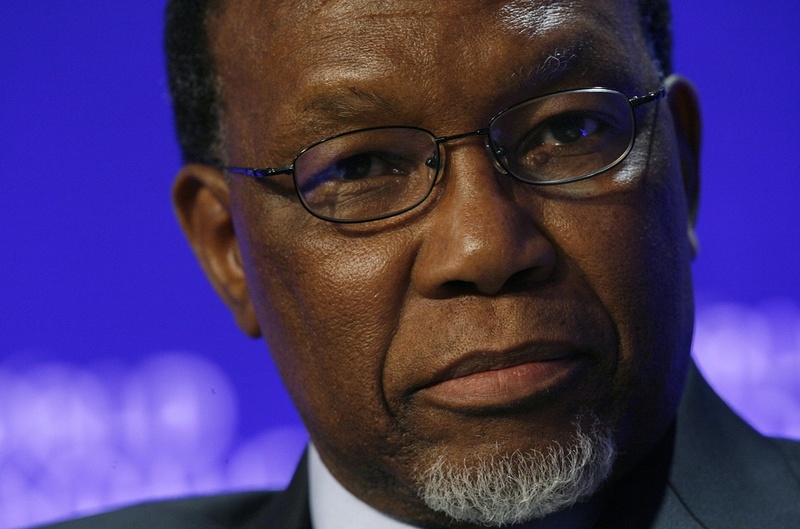 We’ve come across no such concerns about Motlanthe. In recent Gauteng hotspots for service delivery, like Themb’elihle, Chiawelo, Tembisa and Schubart Park, the response is almost always the same: jokes about voting for the Democratic Alliance the next time around, a grim belief that local officials are incompetent, or uncaring, or corrupt, or all three, and the ultimate blame for everything that is wrong laid at Zuma’s door. There is no blame apportioned to cabinet ministers, at least not unprompted, and likewise no calls for resignations. Instead the upcoming ANC elective conference is seen as a natural opportunity to right wrongs – specifically the wrong of Zuma’s election. Also notable is that this sentiment has not changed over the last week. A more decisive Zuma, with an apparent new resolve on everything from Libya to Bheki Cele, is playing well among the chattering classes. Where the day-to-day concerns are about energy, inflation and jobs, however, it is having no impact whatsoever. As best we can tell this is not the result of lobbying by the ANC Youth League or, for that matter, anyone else. Zuma has simply become the personification of everything that is wrong with the country, from bad ward councillors (from the point of view of the townships) to high levels of graft (the concern of the suburbs). Is that a reflection of the thinking within ANC branches in these communities? Will voting at the Bloemfontein conference next year be that clear? The truth is that we just don’t know. As in the run-up to Polokwane there is much happening behind the scenes and plenty of misinformation being bandied about. With Polokwane clarity came only weeks before the conference, and even then there was doubt about the outcome right up to the last minute.